Flotation machine rotors are an important component of flotators, which can rotate to produce centrifugal force to achieve good foaming effect and full flotation. They mainly consist of metal framework and wear resisting rubber. Naipu rubber rotors include models of KYF, XCF, and BS-K8. The specification ranges from 50 m3 to 320 m3. At present, flotation machine rotors are widely employed in mining and metallurgy industries. Flotation machine stators function to remove slurry spin to achieve a smooth liquid surface. They can help keep stable foaming layer and inflating volume. Anti-corrosive flotator stators are mainly composed of metal framework and wear resisting rubber. At present, these stators include models of KYF, XCF, BS-K8, and so on. Flotation machine stators are necessary equipment for mining and metallurgy industries. 1. Flotation machine rotors boast high equilibrium precision, smooth running, good dispersion performance and light weight. 2. Such rotors are of simple structure, corrosion resistance and wear resistance. 3. Rubber rotors are easy to replace and maintain. 4. Flotation machine stators are characterized by stable performance, wear resistance, smooth running and high equilibrium precision. 5. 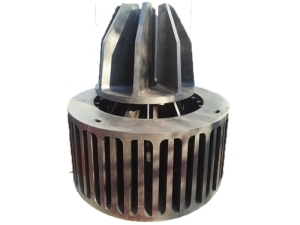 Anti-corrosive flotator stators are light, bringing lots of convenience to installation and maintenance. 1. Flotation machine rotors and stators enjoy long service life. 2. They have wide range of performances and high efficiency. 3. 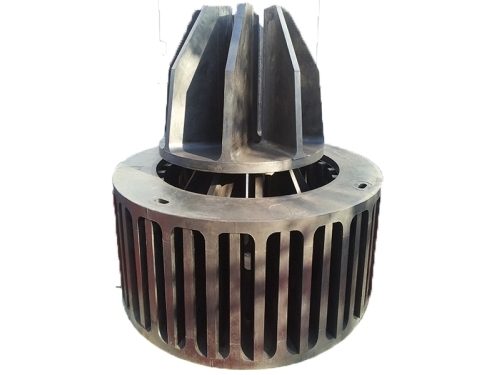 With adopting rubber material, rubber rotors and stators can absorb noise and vibration. The rubber is light and chemically stable, more resistant to acid and alkali than high-chromium alloy. 4. The designing and manufacturing of flotation machine rotors and stators involve lots of advanced technologies and high efficient raw materials. Choose appropriate model of flotation machine rotors and stators depending on minerals and slurries. 1. Flotation machine rotors are supposed to be packed in iron cases. 2. Flotation machine stators can be transported by ocean shipping and land transportation. 1. L/C and T/T are accepted types of payment. 2. Flotation machines rotors should be delivered within 30 to 60 days after the reception of down money. Jiangxi Naipu Mining Machinery and New Material Co., Ltd. is a professional supplier of flotation machine rotors, rubber liners, and other spare parts. The company has advanced manufacturing techniques and machines. In addition, Naipu has abilities to develop and design new products. Moreover, many universities and institutes provide technological supports. All products (e.g. flotation machine stators) are accredited to ISO9001 and ISO14000. For more information, please visit our website or contact us directly.